Is my swimming pool a safe place? Is my swimming pool a safe place? With many Chlorine related incidents being reported in the press this can be a real issue for both pool operators and swimmers. In August 2017 a malfunction with a machine caused chlorine to leak into the pool whilst the pool was being used, luckily no one was hurt. Similarly, a leisure centre in Marlow was also forced to shut down due to a chlorine gas leak, forcing it to close completely over a weekend. Do I Need Chlorine Gas Detection For Swimming Pools? If you operate a pool how do you take steps to really ensure swimmers are kept safe from Chlorine hazards? Fitting a Chlorine gas detection system seems like a logical choice but with lots of choices, choosing the wrong system can become expensive very quickly. Installation costs can often be much more than the initial equipment costs. Chlorine can be a difficult ‘on site’ calibration so maintenance costs can quickly spiral. IGD’s TOC-625 Micro gas detection system is increasingly becoming the first choice for this type of application. With no hidden extra’s TOC-625 Micro is the ideal small system for a whole range of applications. By using the plug and play version of the system, operators can use their own maintenance staff to install the system. IGD can provided backup support to ensure detectors are placed in the most effective locations. Chlorine gas detectors are delivered pre-calibrated and will operate to specification on power up. IGD’s Sentinel® communications protocol ensures devices remain correctly connected and operate within limits. With plug and play detectors there are no wiring errors and all 8 devices are on a single cable run. On power-up the TOC-625 micro system asks the user if they are ready to self-discover connected devices. The system then auto detects all devices connected to the controller and automatically sets channel displays and alarm levels. This allows plant operators to deliver an ‘on budget’ safety system without any compromises. For ongoing maintenance, the system should be calibrated at least once a year. Chlorine gas detection systems can be calibrated by exchange rather than requiring costly site visits. As the settings are saved on the detector heads, you can easily swap the front of the detector for service and replace it with a new sensor from IGD with our exchange deal. A simple and cost-effective solution for a difficult challenge. Finally, with IGD’s Sentinel® protocol, the protocol continuously monitors the system performance. The 625 MICRO control panel has a colour changing display (green for safe and red for alarm) with clear messages displayed on screen. The system also cycles through all current gas levels, for connected devices, giving you a clear unambiguous display. Every event is reported to the panel immediately, with a clear message on the panel display. 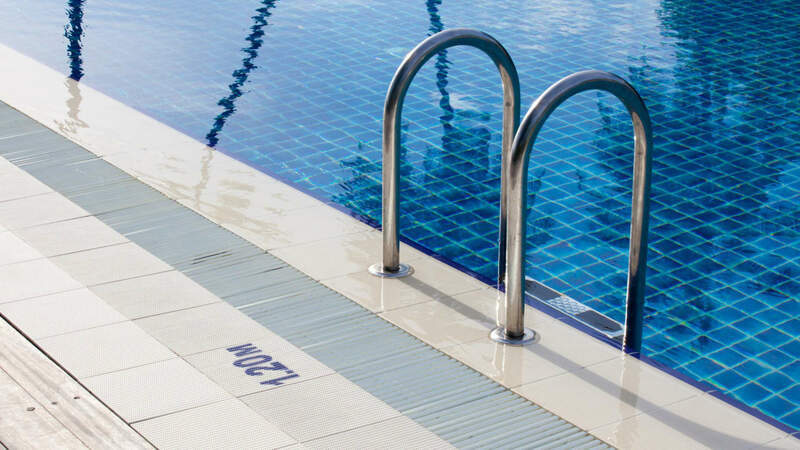 For any questions, advice or support regarding your pool gas safety, or for larger systems that require more than 8 sensors, email our team at: sales@internationalgasdetectors.com or speak to one of our experts on: 0161 483 1415. We have a range of systems that are easily tailored to your application.